Dr.Nilofer sheikh is one of the very dedicated and hardworking periodontist I have seen…wish u all the very best for your new ventures!!!! Sincere,hard working , ambitious, confident wid full of knowledge…. great wishes for future achievements. I have been knowing Dr.Nilofer since 5 years. She is the most dedicated and hardworking Periodontist. She loves her work and give her 100% in whatever she do. She is polite, humble yet confident. Best wishes & regards. U r one of best inspirational personality I have met . Confidence,talent,helpful nature u have everything in u .stay happy n joyfull.i wanna hear many more achievement from u maam ,all the best for the future. Dr. Nilofer is the most courageous periodontist I have known. She handles moderate to difficult cases with planning and patience. She practices with finesse and modesty. A humble and a dependable dentist and a friendly colleague. Dr.Nilofer sheikh is a very dedicated and talented doctor…very hardworking. She has great precision in her work. “Dr. Nilofer is one of the most conscientious doctors that I have ever met. His attention to detail and perfection is very much appreciated. Dr.Nilofer sheikh is very hardworking and talented periodontist.she has great skills in treating her patients.I admire her work a lot.. Fantastic Dental surgeon. Very dedicated and devoted Dr.
Dr Nilofer is very good periodontist as I knw her personally.she has brilliancy in her work.very skilled hands she has.I wish her all the best. 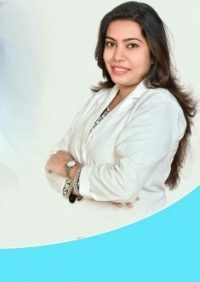 Dr.nilofer is extremely dedicated and well learned dentist and is very well versed with her clinical knowledge.She has good skills in treating her patients.I admire her work a lot.She has also started a free dental app for the betterment and awareness about the dental problems of the society…Kudos to her!!! Dr nilofer is very hard working and dedicated dentist who loves her work. She is sincere and has good clinical skill. She is compassionate doctor the most important quality which doctor should possess. 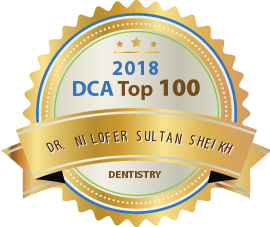 Dr.Nilofer is a good periodontist and implantologist with artistic skills and excellent clinical and surgical work.She has always been dedicated and well versed in academics and clinical dentistry. Her hard work, attention to basics and her devotion and care towards her patients treatment is an inspiration to one and all. 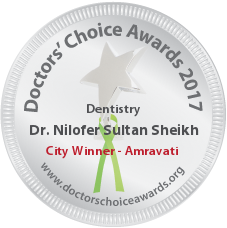 Dr.nilofer is very brilliant and skillful periodontist and implantologist.. She is blessed with gifted hands and caring heart.. Her microsurgical work is awesome and very clean..
Dr Nilofer is exceptionally hard working & a very dedicated person . Apart from being an excellent clinician she’s always very compassionate & caring towards her patients . I wish her all the best always . She is honest, hard working, focused and dedicated doctor. Very good human being. Always wanted to learn new things. 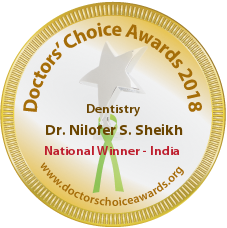 Dr Nilofer is very talented and hardworking dentist. She is excellent with her work . It was great experience working with her. She is truly being magestic with her hand work,skills n knowledge….Doing great work for d betterment of d society. Dr.Nilofer mam is a dedicated dentist ; i am glad to know her; she is truly inspiring. Dr nilofer is a very talented dentist..ihv known her since years , she is very dedicated to her profession. I have seen her doing many cases n every case is appreciable. Dr Nilofer is a hardworking dentist. Her passion for work and profession is amazing. She always wants to learn new techniques and apply them for betterment of her patients. 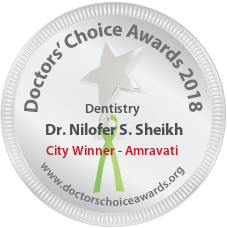 I would like to mention about Dr.Nilofer is the passion and dedication for the work done by her related to dental treatment for the betterment of the patient and communication she does with the patient to motivate them to pursue the treatment for their benefit. 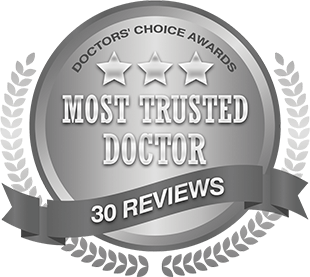 Regarding the treatment the results have been very good and I have seen satisfactory results. I would definitely like to recommend about the hospitality and the relief provided by Dr.Nilofer Sultan Sheikh. I have known Nilofar since 4 years and have seen her cases and patients . I am very much impressed by the results she has got in her cases.Also she has very kind and caring attitude towards patients that adds to her persona as a doctor . Thank you Dr Gurjeet. Your words are precious.